THRILL Multi-FX LED is a 3-in-1 LED light fixture with an impressive number of tricks up its sleeve, guaranteed to make your show larger than life. 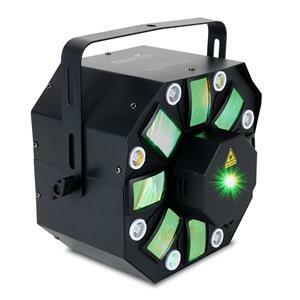 It is equipped with laser, strobe, and rotating colored multibeams with super bright output for a great variety of dazzling looks and mid-air effects. With its high-speed, ultra-sharp laser beams, the THRILL Multi-FX LED is ideal for creating dramatic atmospheres and boosting energy levels in a variety of setups ranging from entertainment and club environments to wedding parties and corporate shows. 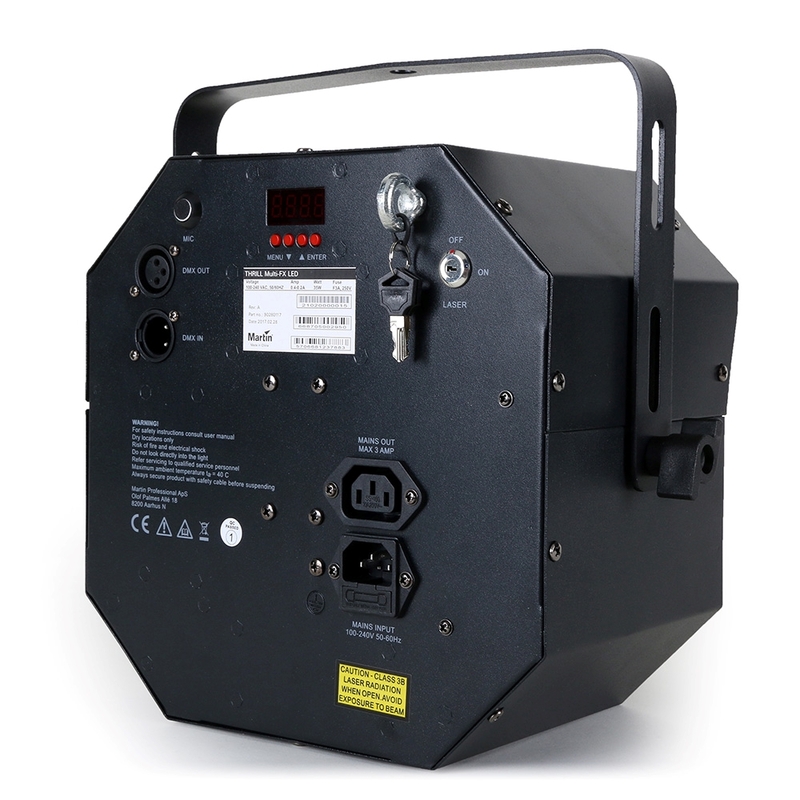 ElectricalAC power: 100-240 V nominal, 50/60 HzFuse: F 3 AL, 250 VTypical power consumption:: 35 WMaximum number of fixtures on AC power throughput, 100-130 V: 6 x THRILL Multi-FX LED or 3 AMaximum number of fixtures on AC power throughput, 220-240 V: 10 x THRILL Multi-FX LED or 3 APower consumption figures are typical, not maximum. Allow for +/-10% variation. 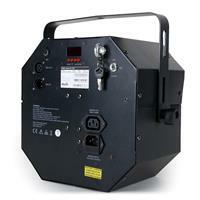 Typical Power and Current110 V, 60 Hz: 0.5 A, 35 W *230 V, 50 Hz: 0.3 A, 35 W **Measurements made at nominal voltage with all LEDs at full intensity. Allow for a deviation of +/- 10%. ThermalCooling: PassiveMaximum ambient temperature (Ta max. ): 40° C (104° F)Minimum ambient temperature (Ta min. ): 0° C (32° F)Total heat dissipation (calculated, +/- 10%) at full intensity, full white:225 BTU/hr.